The flight from Lebanon to Jordan was 1 hour 25 minutes, about the same as a flight from San Diego to San Fransisco. 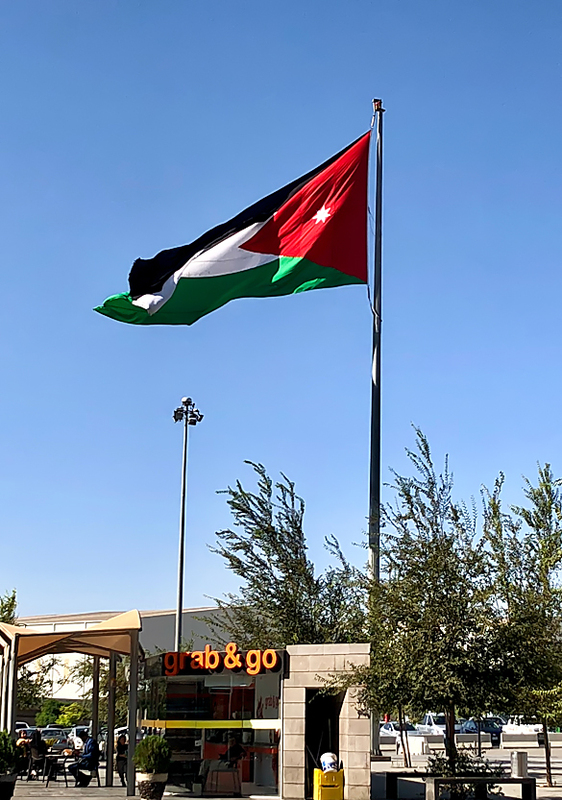 The Amman airport was a bit isolated from the city. It was very dry and barren compared to the beauty of Lebanon, although the airport was really nice. We were met there by our driver who took us into Aaman. As we climbed a hill from the airport area, we quickly entered into a thriving, modern city. Much like Beirut, Aman was a very verticle, packed-in city. The first stop was a hotel where we had a day room and it was SUPER nice! It was one of the nicest hotels I've ever stayed in. Talk about a soul-searching moment! Going from Syrian refugee camps to hotels like this will really mess with you! I think that may have been part of the point of this tour we were on. If it was, it was working! 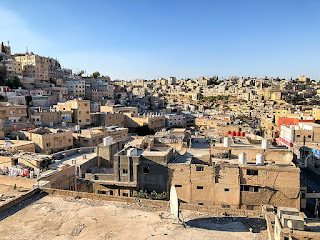 After we checked in, we all walked to the home of one of the pastors in Amman. He had been a very successful businessman before he was called into ministry. His son pretty much runs the business now so dad can focus on ministry. Their house was modest but nice and we were treated to an amazing lunch! One thing about this trip I experienced was the vast amount of food everywhere we went. Chicken, rice, salad, yogurt, bread, and a host of sweets for dessert. I was pretty sure I was going to return home a diabetic! Hospitality is a major thing in the Middle East! Most of the coffee served on this trip was Turkish coffee and came in a small cup that packed a big punch! For this particular lunch, the coffee was more mellow and very good. We had a great visit with the pastor and his wife. They are involved in many types of outreach to Syrian refugee families in Amman. Jordan has a population of 9.75 million people with 657,000 of them being Syrian refugees. 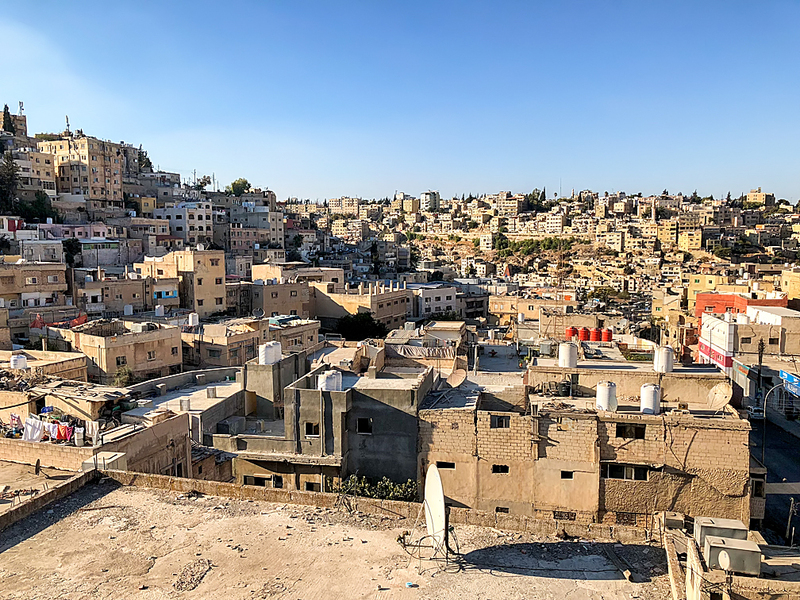 While Jordan's refugee population is large, it was much smaller than the 2 million refugees that were living in Lebanon making up a total population of 6 million. Of course, I always like finding out about the water conditions in the different countries I visit. 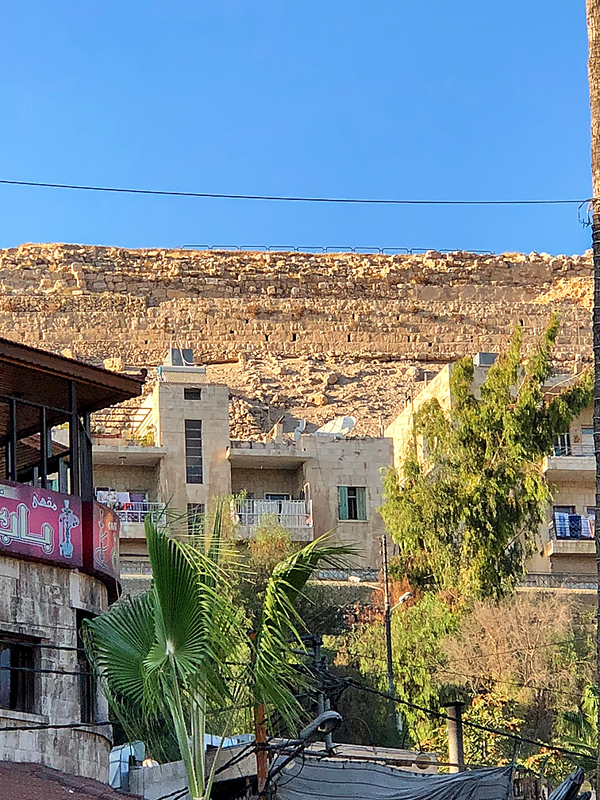 Jordan has one of the lowest levels of water availability in the world, and the influx of Syrian refugees is stretching Jordan to the limit of what it can provide. The inability to keep up with infrastructure growth is preventing most Jordanians from having potable water. I could see endless opportunities to help improve the water quality for people living in Jordan, especially among the poor. After our lunch, we went to the home of one of the AG missionary couples who had been studying Arabic while living in Amman. Their Jordan assignment was almost finished and they were just about to head back to the US to finish raising support for their next assignment, the desert of Iraq! As we listened to their story, I was blown away by their commitment to go to Iraq. The city where they were headed did not sound like a very pleasant place to live. It was going to pretty much be as hot as it gets on earth during part of the year! Plus there was some concern about the stability of the region as the Kurds were seeking independence from Iraq. Their commitment to go was amazing! 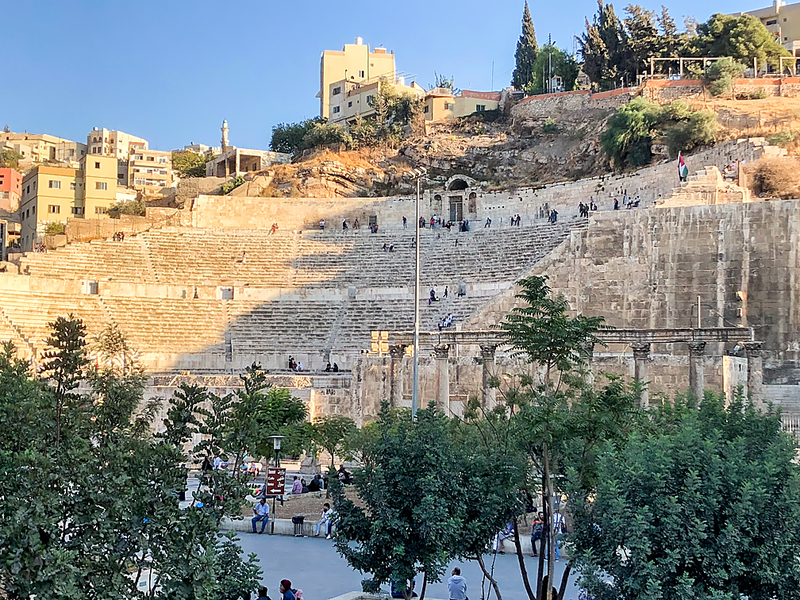 At the end of our day, we took a brief tour of Amman. We went to a historic amphitheater in the center of town. In the exact opposite direction of the amphitheater was a view of a famous hillside. It was on that hillside where Uriah the Hittite was killed in battle following King David's orders to put Uriah on the front lines of battle. This would end up being the low point in King David's life as his affair with Bathsheba lead to the murder of Uriah. 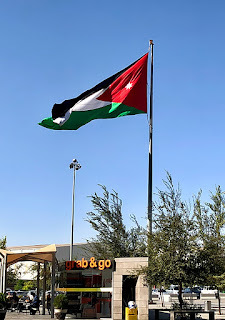 Following our brief tour, we headed back to the hotel where we cleaned up and headed to the Amman airport for our journey back home. My flight ended up being delayed by 12 hours, but Lufthansa was able to reroute me through Rome and get me to Newark 15 minutes earlier than my original flight! I was grateful! This week was eye-opening on so many levels. I got a first-hand look at the Syrian refugee crisis and the strain it was putting on those families, as well as the host countries of Lebanon and Jordan. This crisis will no doubt go down as one of the worst humanitarian crises in history! There is so much need! World Vision is doing an amazing job but in reality, there is so much more to do! I was surrounded for a week by people who were barely surviving on a meager food allowance while living in very bare-bones tent camps. I would be going home to the luxuries that come with truly living in a land of opportunity and vast wealth. Those two worlds collided and I was convicted that I would continue to develop a life of generosity and try to influence others to do the same. As I write these words, I am three days away from departing for Haiti on another clean water mission. This time it will be to help reduce a major outbreak of Cholera. What will I see there? What will I feel? What will I learn? I hope you will join me for the ride, and most important, I hope you will join me on the journey of developing more generosity for a world that desperately needs us to.